Camden Poetry, Trinity United Reform Church, 1 Buck Street, Camden, London NW1 8NJ. Ruth Smith will be reading here at the Competition Event on Dec. 4th. having been highly commended by the poet, George Szirtes, who judged the competition. This entry was posted in Competitions, Poetry Events and tagged Cambden Poetry, ruth smith on October 28, 2015 by shortlandpoetrycircle. 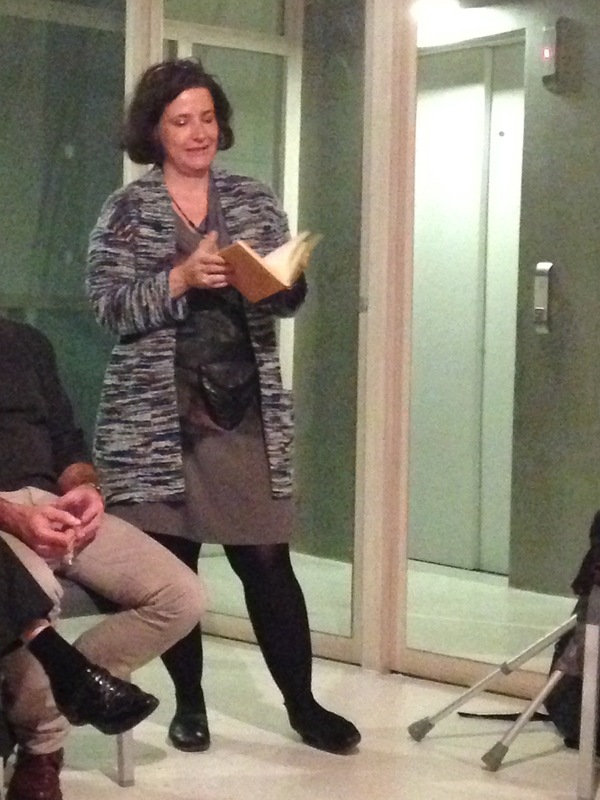 Several members responded to Isabel’s invitation and attended the launch of her pamphlet ‘Extranjeros’ on 9th. Oct. at the Swiss Church in Endell Street, Covent Garden. The pamphlet is published by Flarestack Press and copies are available from the publisher at their online shop (www.flarestackpoets.co.uk) or from Isabel herself. In these poems, there is a rich sense of country, its smells and savours, its landscape and not least the personalities, customs and talk of Isabel’s Colombian relatives. It is heady stuff; beautifully written poems about a fast-disappearing way of life, ‘the runrun of lost years’ celebrated rather than mourned. Isabel also has a poem in ‘Poetry News’ published by the Poetry Society, who invited members to send in poems on the subject of Light. This entry was posted in Poetry Events, Writers and tagged Isabel Bermudez on October 28, 2015 by shortlandpoetrycircle. Isabel Bermudez and Ruth Smith were both on the shortlist for the Bridport Poetry Prize judged by Roger McGough. This entry was posted in Poetry Events, Writers and tagged Isabel Bermudez, Roger McGough, ruth smith on October 28, 2015 by shortlandpoetrycircle. This is an annual event where the Writers’ Group gives a reading of poems written by its members. The group is a thriving and very necessary part of Shortlands Poetry Circle and we have some extremely talented writers in our midst, several of them published. On this occasion each member reads three poems and these can be enjoyed afterwards in a printed portfolio which contains their work. Copies are available for £3 each. Anyone else who writes but does not belong to the Writers’ Group has the opportunity to read one of their poems. The event is so pleasurable because it gives an insight into individuals, their feelings, their concerns, and of course, their skill. This entry was posted in Poetry, Shortlands Poetry Circle, Writers and tagged shortlands poetry circle on October 28, 2015 by shortlandpoetrycircle. French literature and poetry have long been a source of inspiration for writers in English. Oscar Wilde wrote poems in a French style and with French titles; Arthur Symons and Ernest Dowson translated Baudelaire and Verlaine; TS Eliot‘s collection Poems (1920) contained several poems in French. This event will examine some of these cross-Channel connections from the 19th century to more modern times, with a particular focus on the French symbolists. It will be illustrated by readings in both French and English of original poetry and translations. Matthew Creasy is lecturer in English literature at the University of Glasgow and has recently published a critical edition of Arthur Symons’ seminal work The Symbolist Movement in Literature. He will talk about the influence of French Decadent and Symbolist poetry upon British writers during the fin de siècle, with particular reference to Verlaine’s visit to England in 1894 (when he stayed briefly with Symons in London). Anthony Rudolf is a poet, literary critic, editor and publisher who has made many translations of French poetry, including books by Yves Bonnefoy, Claude Vigée and Edmond Jabès. He was deeply involved in the original rescue of the Rimbaud and Verlaine house at 8 Royal College Street. Anthony will discuss the importance of French poetry to him over many years and will read a selection of his own poems and translations. Dylan Read is a graduate of the Jacques Lecoq international theatre school in Paris. He and his colleagues have recently devised a theatre piece based on Charles Baudelaire’s Paris Spleen. Dylan performs in both French and English in the UK and abroad and will give a series of readings in both languages. This event is free of charge but booking is essential. Please go to www.eventbrite.co.uk/e/symbolism-and-beyond to reserve your place. Registration will be open from 6.30 pm and the event will start promptly at 7.00 pm. Europe House is situated at 32 Smith Square, London SW1P 3EU and is a short walk from Westminster, St James’s Park and Victoria tube stations. This entry was posted in Poetry, Poetry Events on October 17, 2015 by shortlandpoetrycircle. A special welcome to Sally Grace who joined us today as a visitor. Those who attended today’s meeting came with a variety of poems, all different and all from the continent of Europe, read in translation. Two of our members chose to read poems by Phillipe Jacotett and among the other offerings there were poems by Baudelaire, Cavafy, Hermann Hesse, Victor Hugo, Pope Jean Paul, the contemporary Romanian poet Lucian Vasilescu and Sissal Kampmann from the Faroe Islands. It was an enjoyable mix and an inducement for us to read more European poetry. This entry was posted in Ripley Arts Centre, Shortlands Poetry Circle and tagged Baudelaire Cavafy, Hermann Hesse, Lucian Vasilescu, Phillipe Jacotett, Pope Jean Paul, shortlands poetry circle, Sissal Kampmann, Victor Hugo on October 6, 2015 by shortlandpoetrycircle. Actor Lance Pierson leads a guided walk between Waterloo and Westminster Bridges to visit the many sites of poetic interest along the river bank. At each stop Lance will talk about the landmark and read the poem connected with it. The poets featured include Shakespeare, Wordsworth, Donne and Burns. But the walk also features stops involving Gilbert and Sullivan, the National Theatre, the Festival Hall and the London Eye. St Mary’s Church, Upper Street, London N1 2TX, midway between Angel and Highbury/Islington tube stations. 7 pm Admission £4 Free cakes & coffee! 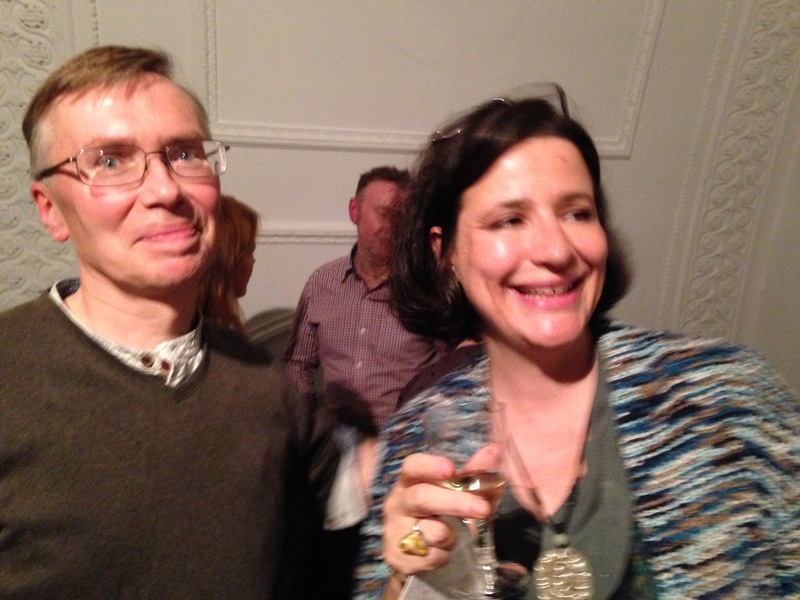 This entry was posted in Poetry Events and tagged poetry events, shortlands poetry circle on October 6, 2015 by shortlandpoetrycircle.